I was out yesterday for a short time flounder fishing in the back bay.The first spot I stopped at the short flounder were staked up. A gentleman and his two sons had been fishing the spot for two hours they had 34 throw backs and two nice keepers. I moved on to a summertime favorite flounder hole. This spot was loaded with flounder, also mostly shorts but I know with time spent one could catch a few keepers at this spot. I moved on to the next summertime spot this spot is out in the inlet, same way loaded with flounder.What I found at the end of my 45 minute scouting trip was the fact the bottom of the back bay is covered in flounder. You should expect to catch at least a few keepers a tide. 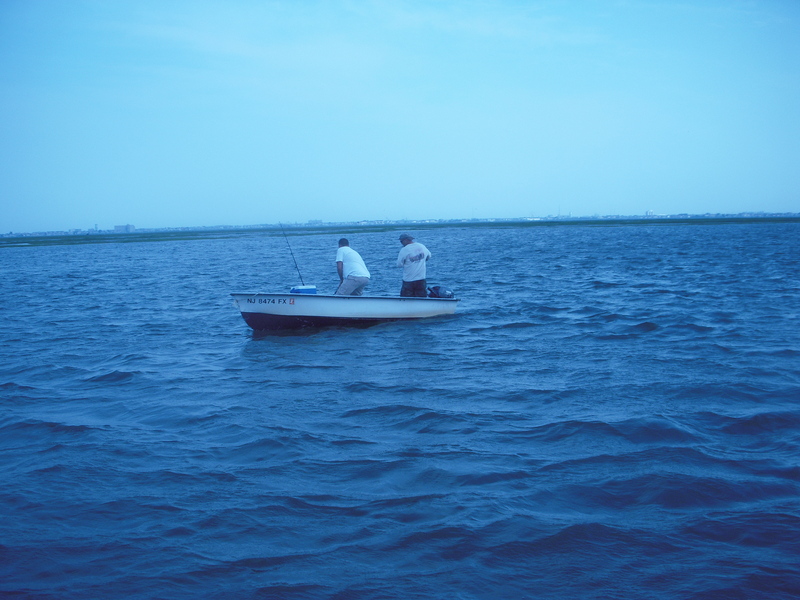 With the tide cycling around it will make it possible to avoid the heat by fishing the morning and evening tide. The water temperature was 65 degrees at the top of the tide. The water clarity was a 7. Fishing pressure was a 1 with 10 being the busiest. july 27 dad n I were out today caught 1 keeper over 3# rest were toss backs tog fished for 45min. no keepers but plenty of shorts hang loose!